Two brilliant bowling performances were on show when Olney and New City butted heads on Saturday in Four Counties Division 1. While New City would come out on top after a catastrophic Olney batting collapse, the performance of Stuart Keeping, who took 6-17, would be one of the highlights of the match. Keeping’s spell saw New City, who began the day bottom of the table, go from 86-2 to 126 all out. 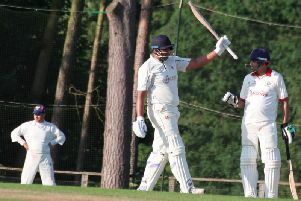 It had started well for New City too, with Dhruv Pankhania (36) and Tyler Badenhorst (33) hitting big for the home side. With a meagre total to defend, it looked like it would be a tough afternoon for City’s bowlers, but step forward Jay Singadia. 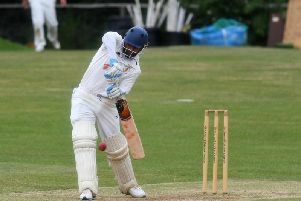 Tearing through the middle order, Singadia took 5-14 as Olney were reduced for just 56. The result sees New City remain in the drop zone, but they moved within six points of Olney above them. Another brilliant bowling display came at the other end of the table as North Crawley remained on top, beating GreatHorwood by 174 runs. After an Alex Walker ton saw Crawley reach 211-9, Ollie Clarke took 6-17 as Horwood fell to the bottom of the pile, all out for just 37. Milton Keynes (173-3) are second in the table after beating Elstow (169-8) while New Bradwell (194) lost to Eaton Bray (235-9) and Westcroft (97) lost to Thurleigh (100-8).